SHANGHAI, China, August 30, 2011 (ENS) – To accelerate the pace of electric vehicle adoption in China, the American car rental giant, Hertz, will participate in the China International EV Pilot City in Shanghai. 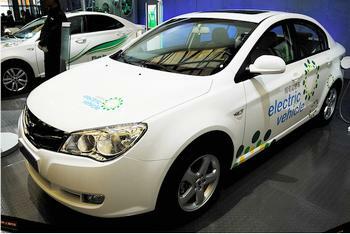 General Electric will install infrastructure to supply electricity to the vehicles. Earlier this year, Shanghai was selected as the electric vehicle international pilot city by the Chinese government and Jiading district of Shanghai as the EV international demonstration zone, with a goal of increasing public awareness and integration within the industry. Hertz is the first rental car company to sign an agreement to partner with the China (Shanghai) International Electric Vehicle Pilot City. Current partners include automakers, EV supply chain participants, energy suppliers and insurance companies. To build a market for what will be the first EV rental service in China, Hertz announced Wednesday that the company has formed an alliance with GE Industrial Solutions China to develop a new business model to market EVs in China. The plan includes the co-location of electric vehicles and GE EV infrastructure, which means the installation of GE charging stations as well as upgrades to the electrical grid and distribution systems. The two companies will bundle electric vehicle leasing and charging facilities as a solution, which will be offered to multinational companies and government agencies to promote new energy applications. Hertz and GE Industrial Solutions will leverage each other’s services, products and client bases to go to market together as business partners. Hertz, GE and China International EV Pilot City will collaborate on a multi-layered approach to launch an electric vehicle rental program in Shanghai, starting with the installation of infrastructure across Shanghai’s Jiading district. 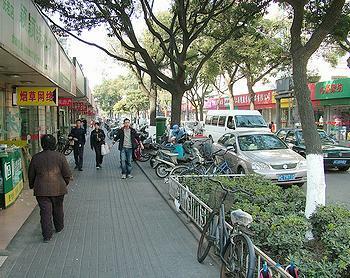 Near the Shanghai Hongqiao International Airport, with a campus of Shanghai University, a famous 800 year old Confucian temple, canals, gardens and the annual Chinese Grand Prix auto race, Jiading is viewed as ideal for the introduction of electric vehicles. Jiading District is the only model district and Shanghai is the only model city in China for electric vehicles, according to China’s Ministry of Science and Technology, which is focusing public attention on the industry. At the Shanghai Automobile Exhibition Center in Anting town, Jiading on September 21 reporters from about 200 auto publications in China will gather with electric vehicle industry experts and officials from the central and district governments for a look at China’s latest electric vehicles. In addition, Hertz has launched a partnership with BYD, the largest Chinese auto brand, to combine electrical vehicle sales and leasing as a mobility solution for representatives of multinational corporations and government agencies. “China has committed to rapidly expand electric vehicle travel and Hertz is committed to supporting the important EV Pilot City program,” said Mark Frissora, Hertz chairman and chief executive. “Working with our existing rental car network in China and partners such as GE, we are dedicated to helping build the necessary EV infrastructure in China and to create a new transportation solution that employs the latest technology and harnesses innovations being launched in China today,” Frissora said. “GE, as a world-wide leading company is glad to respond to the Chinese government’s call for support of the EV industry,” said Johnny Wang, general manager, Greater China, GE Energy Industrial Solutions. In expanding its EV initiative to China, Hertz becomes the first company to offer electric vehicles for rent on three continents. 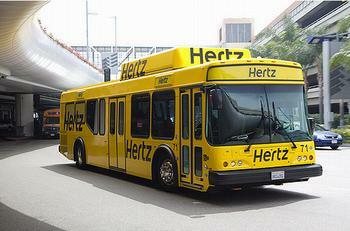 Hertz now offers EVs across the United States and in London and other cities in Europe. In its first year, the Hertz Global EV initiative has grown from a vision to a market presence in more than 10 cities, offering a diverse fleet of electric vehicles from BYD Auto to Nissan, General Motors, Mitsubishi, Renault and Tesla. Based in New Jersey, Hertz is the largest worldwide airport general use car rental brand, operating from more than 8,500 locations in 145 countries worldwide.